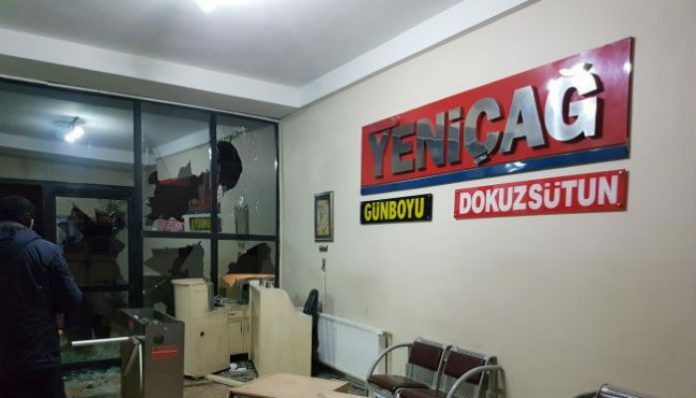 A group of assailants on Thursday evening attacked the headquarters of the nationalist Yeniçağ daily in the Yenibosna neighborhood of İstanbul. The newspaper said in a statement that the attackers were armed, used ski masks and attacked the newspaper building with paving stones. Police teams have been dispatched to the area while an extensive investigation has been launched to capture the assailants. This article originally appeared in Turkish Minute on Dec. 10.